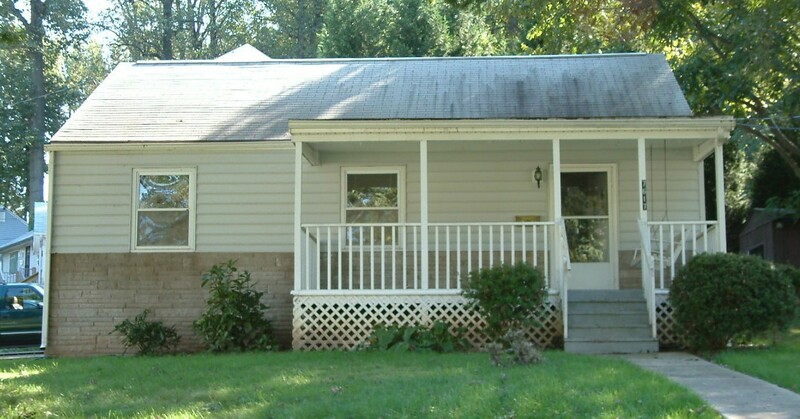 Post-War Cape Cod House Destined for Serious Re-work. 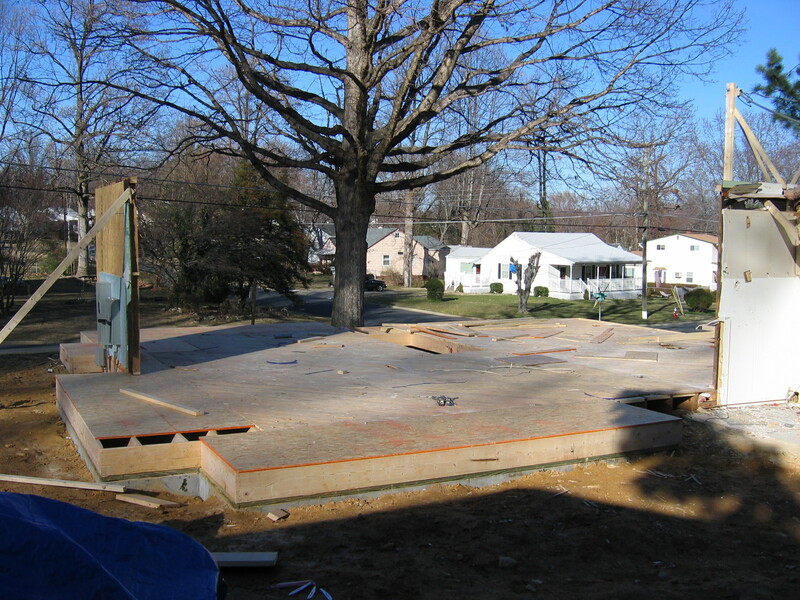 Cement block foundations were added to three sides of the house to expand the floor plan. First, the area was excavated and concrete footings were poured to support the new concrete block walls. 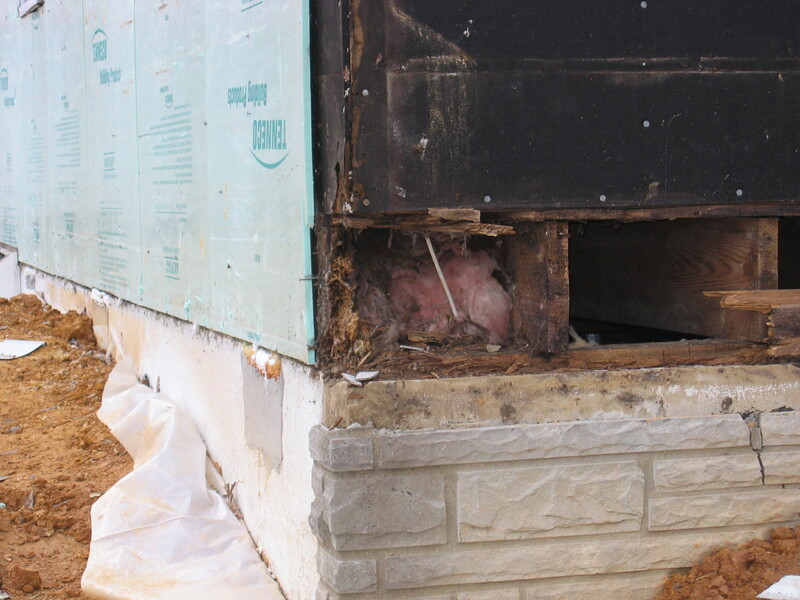 Upon exposing the sheathing under the existing siding, it was discovered that water had come in behind siding that had been poorly installed and the floor joists and sills were rotted away. Repairs involved adding new floor joists, replacing the sills. 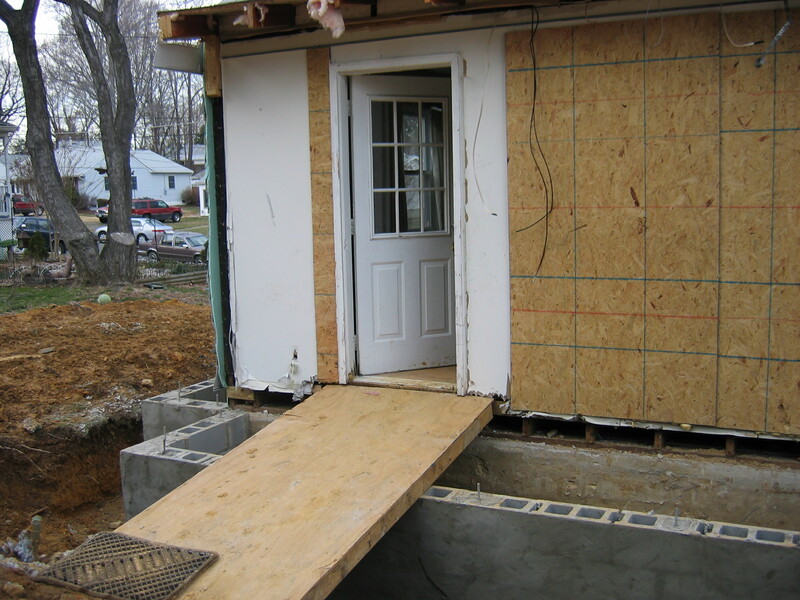 The entire front of the floor system was raised 1 1/2″ to correct a lean to the front that was built in originally. Our plans changed! 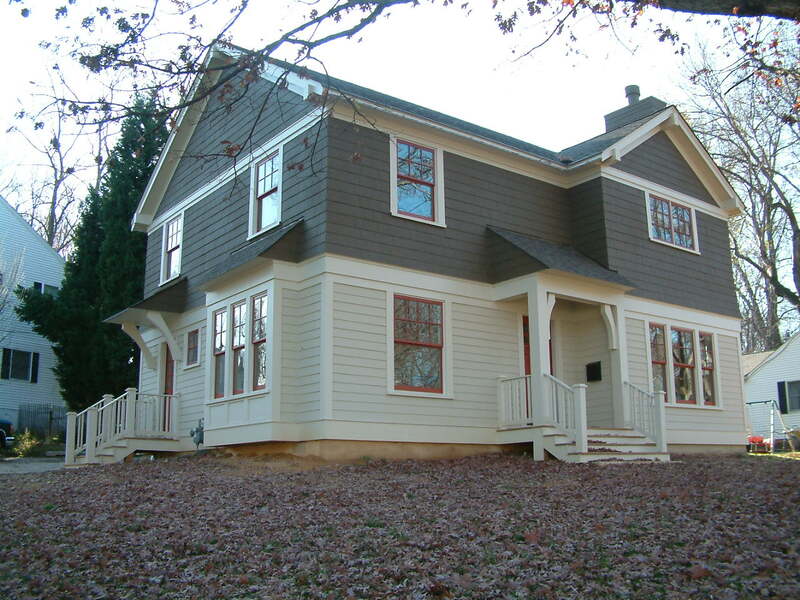 There was more water damage to the exterior walls than originally thought. As a result, all the exterior walls were removed except the wall at the rear of the house upon which the existing electric meter was mounted. Just one of those unexpected expenses. 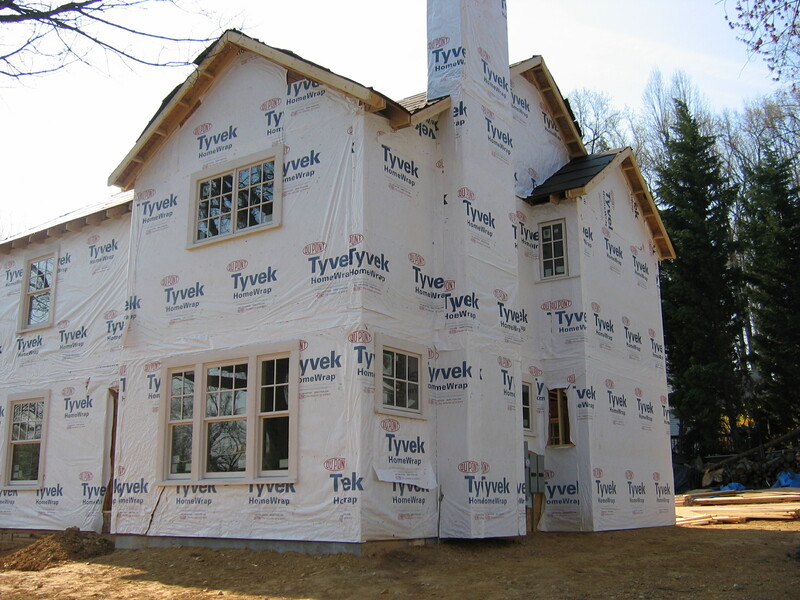 The first floor exterior walls are framed and partially wrapped with moisture barrier paper. 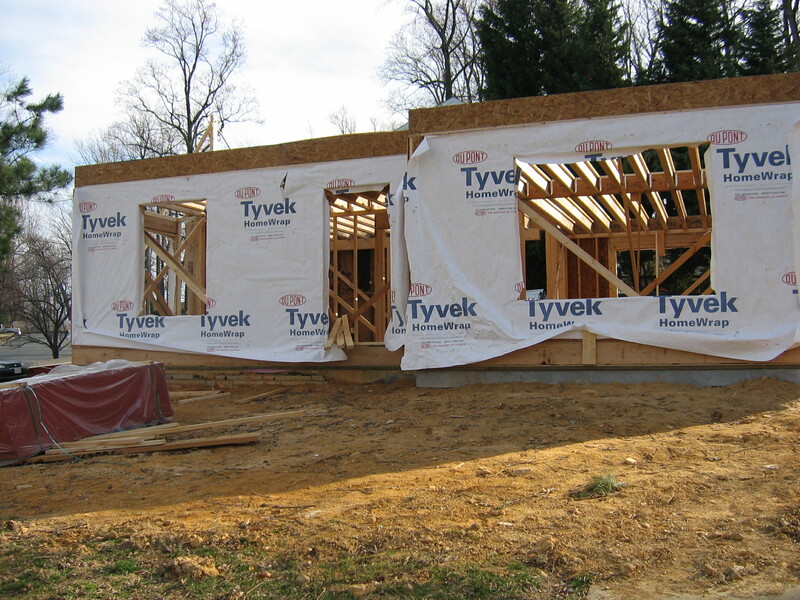 The floor joists for the second floor are installed. 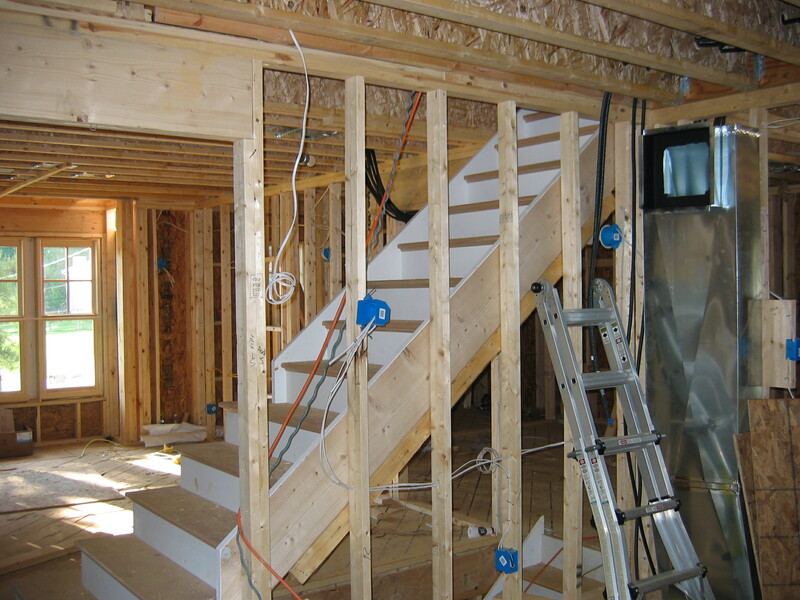 The interior stairs have been installed and the adjoining living room wall is framed. 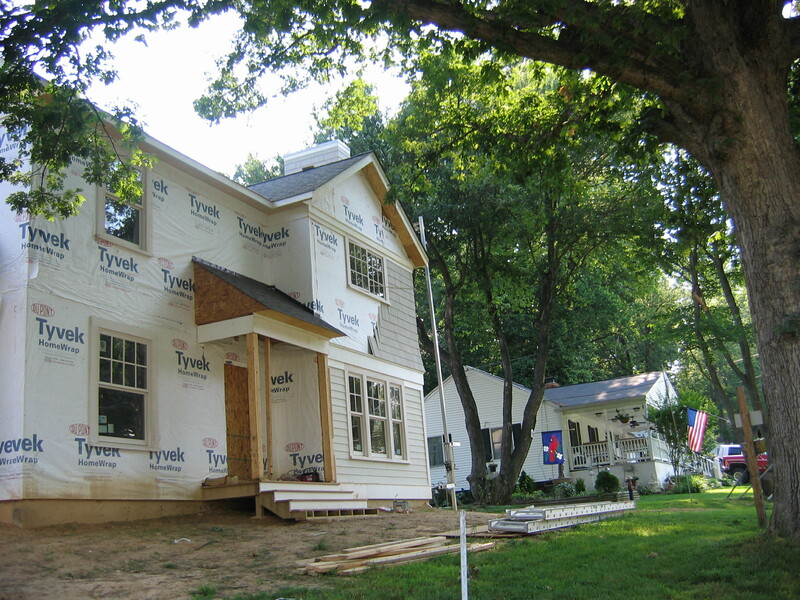 The windows are installed and the exterior is ready for trim and siding. Shingles being installed on the second floor exterior walls. 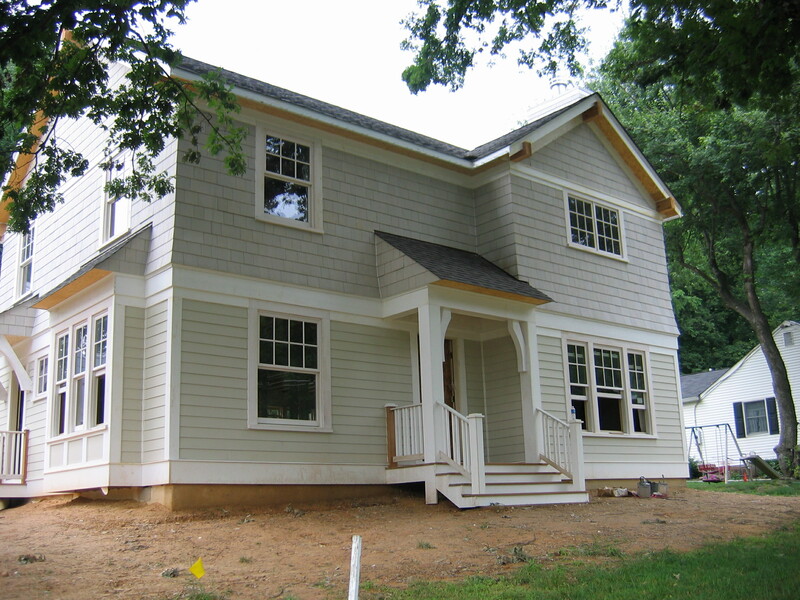 House is ready for finished trim and siding.